The benefits of enrolling your child in a summer day camp are endless. The countless opportunities available for children at camp allow them to develop social skills, gain independence, try new activities, make new friends, and form lasting memories. Finding the day camp that is the perfect fit for your family can be difficult, and with so many options it can seem overwhelming to even begin the search. Here are a few of our favorite tips for finding the perfect day camp for your family. Like any big life decision, your search for the perfect day camp should start with a little research. As you take your first look at local camps, here are a few important questions and concerns to keep in mind. Does your child like to have a lot of activities to choose from, or do they prefer to focus on one interest like dance or sports? When you are researching camps, try to find a camp with a mission that aligns with your child’s interests and preferences. Research how long the camp has been around. There are many wonderful new camps springing up each year. But when you choose an established day camp with an experienced staff, you know you are enrolling your child in a safe program with a good record of success. If you are looking into day camp, chances are you want it to be nearby and convenient. Check out the camp locations (many have more than one!) and see if they offer transportation to make the process even easier on you. One of the best ways to find out if a local day camp is right for your child is to talk to the director of the camp. Any camp that is worth your time will have staff members that want to get to know you and help you in your search. Most camps will also be happy to connect you with other parents for references. Many larger camps even host open houses so you can visit and see what the program is all about. When you talk to the camp director, don’t be afraid to ask questions! That is what they are there for, and they will be more than happy to tell you more about their program. Here are a few questions from the American Camp Association and Parenting.com that will help you know if the program you are researching is a camp you want your child to attend. You want to know that your child is in good hands, so don’t be afraid to ask about the staff training and requirements. Some good questions to include in your conversation include asking if the staff is CPR certified, finding out the average age of the camp counselors, and inquiring about the type of training the staff members receive. Along the same lines, you also want to know that your child is in a safe and secure environment while they are at camp. When you are speaking with the camp director, be sure to ask what safety measures they have in place including camper to staff ratios, systems for keeping track of campers, and bathroom supervision policies. As a parent, you want to feel connected and in the loop when it comes to your child’s day camp. Be sure to ask how they keep parents up-to-date on special events, holidays, closings, and other important camp news. You should also ask about their system for notifying parents of sick or injured campers. Also, you should find out about their rules regarding your child’s cell phone use during camp hours. Summer day camp should be a fun and memorable experience for your children to grow and thrive! 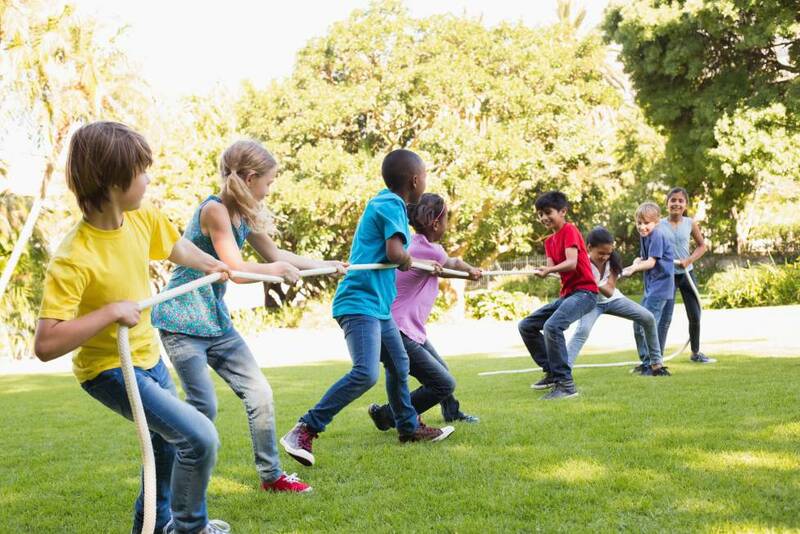 By doing some basic background research and asking the right questions, you can ensure that your children have the ultimate summer camp experience this year! If you are looking for a day camp in Southern California, be sure to check out our fun-filled Santa Monica beach camp serving families throughout Los Angeles County and its surrounding areas!